Loose forward George Burnie grabbed four tries, as a youthful and inexperienced Bristol Sonics side lost 69-56 to West of England League title hopefuls U.S Portsmouth Navy Seahawks. Bristol were blown away in the latter stages of the first half, but produced a rousing second half display to get within 13 points of their vastly more experienced opponents. The Sonics arrived at the United Services Recreation Ground in Portsmouth expecting a tough test. Bristol had to do without the services of a string of experienced players, instead relying on a mixture of debutants, talented graduates from the club’s youth academy, and club stalwarts. In comparison, their opponents – who won last season’s London & South East League before switching competitions over the winter – could call on a large number of Forces rugby players, including a very strong pack of forwards. In the circumstances, Bristol’s inexperienced side performed admirably, scoring ten tries to come surprisingly close to causing a monumental upset. Bristol were put to the sword in the latter stages of the first half, but rallied to outscore their strongly fancied opponents. The Sonics were particularly strong in the closing stages, showing that there’s nothing wrong with the side’s desire or self-belief. Loose forward George Burnie was the hero for Bristol, scoring four tries – including a hat-trick in the first half an hour of the game – while prop forward Sam Collins finished with a personal haul of 24 points, thanks to two tries and eight conversions from ten attempts. Veteran full-back James Gross missed a large chunk of the game after picking up an injury in the opening 15 minutes, but returned in the second half to score a brace of tries. Debutants Louis Mizen and Nikola Strbac, the latter a Serbian Rugby League international, also crossed the whitewash for Bristol. Sonics team manager Matt Anniss, who was filling in for absent player/coaches Dom Swann, Lawrence Rycroft and Alex Potts, said: “It’s rare that you walk away from a game where you’ve conceded 69 points with more positives than negatives, but we left Portsmouth believing that we could be onto something good this season. Many of our squad were playing their first games of League today, and others were 17 year-olds tasting adult rugby for the first time. Portsmouth will be amongst the strongest teams in this division, and certainly the most physical. To score 56 points against them, while lacking our regular half-backs and a number of experienced forwards, was actually a very good effort. “There’s lots for us to work on, of course, but promising signs. Georgie Burnie, Sam Collins, Louis Mizen, Charlie Geary and Joe Uren are amongst the youngest members of our squad, but all played terrifically today. There were many other notable performances throughout the side, and no lack of effort. We dramatically improved as the game wore on, too, suggesting that there’s much better to come as the season unfolds”. 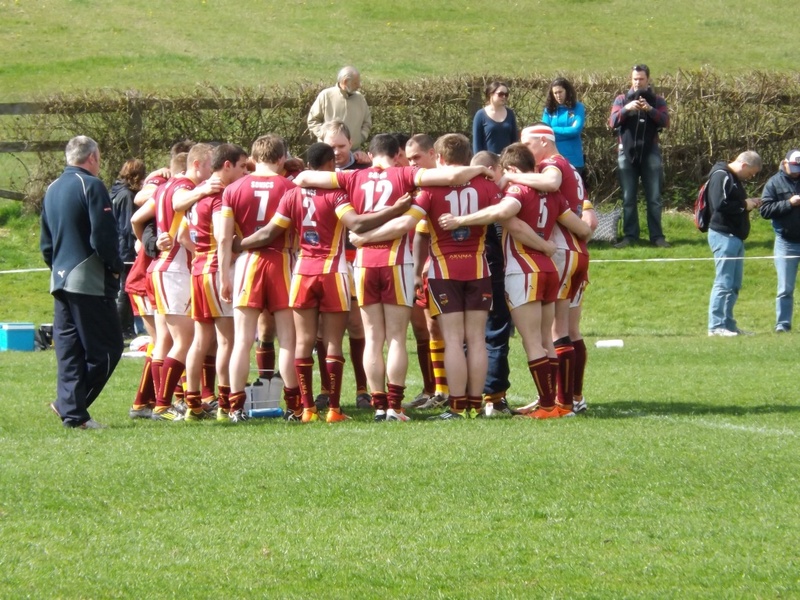 Bristol now have two weekends off, before playing their first home match of the season against local rivals Bath & Wiltshire Romans at Landseer Avenue, Lockleaze, on Saturday June 4.